The Cooper Hewitt, Smithsonian Design Museum’s Library has acquired a set of publications, Pencil Points reader: a journal for the drafting room. This architecture-focused publication, released monthly from 1920-1943, comes tucked neatly inside a countless number of trade related advertisements. In each issue, there is the section “Here and There and This and That” which allows for entry into one of the four categories of a monthly competition. 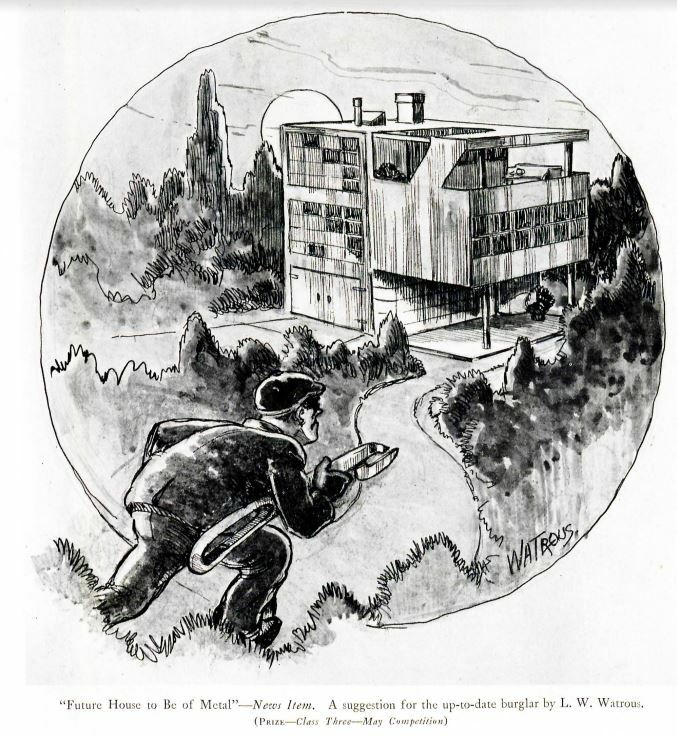 The categories include a sketch or drawing, poetry, cartoons, and miscellaneous. The selected winner from each category has their winning entry published in the catalog and receives $10. 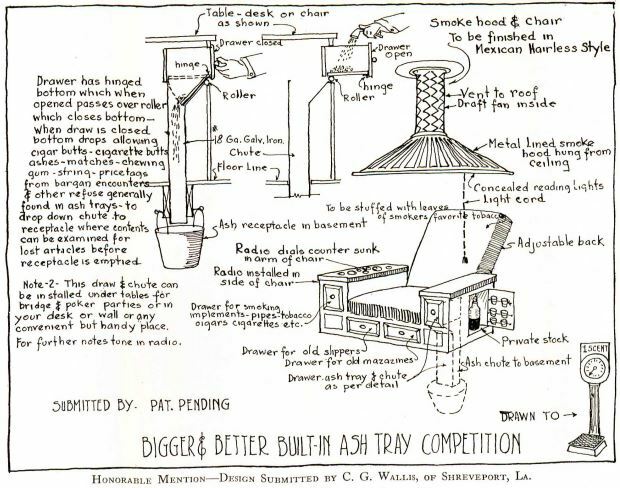 A call to design a “Bigger and Better Built-In Ashtray” yielded many complicated and multifaceted submissions. These were the top three prizewinners. 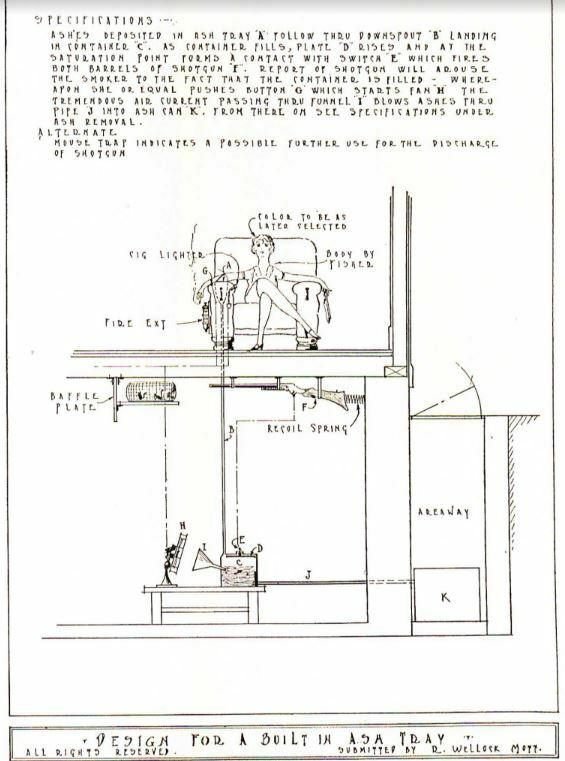 The most complex design is the system that utilizes a shotgun to remind the household smoker that their ashtray, located in the basement, is full. An Honorable Mention for its concealed tile sized design. The grand prize winner with a much more complicated design. An honorable mention for another smoking chair with features like drawers, a mini bar, and vent. 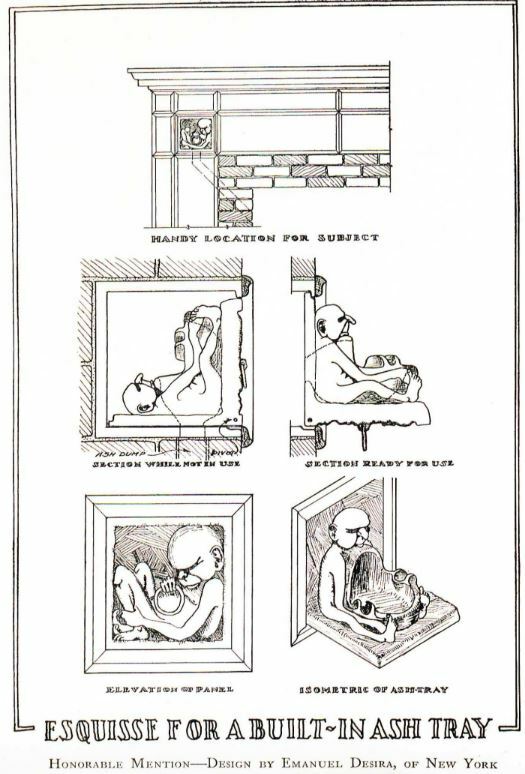 This competition revolved around one editor, E.C.L., having their wisdom tooth removed. 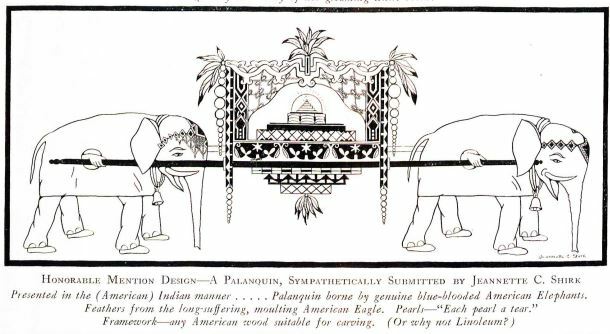 The challenge was to design a palanquin to display the soon to be removed tooth. The designs were exotic, beautiful, and befuddled. 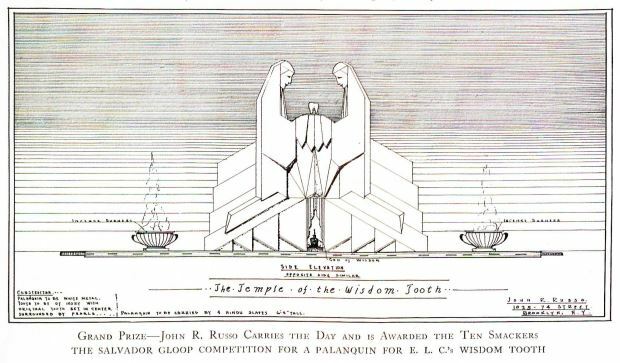 The temple of the wisdom tooth that won the competition was truly a monumental way to remember the molar. An honorable mention humorously intended to be designed with American products. The grand prize winner for how the wisdom tooth can be carried off in style. There is also a continuous spread of humorous cartoons, poems, or jokes in the Pencil Points competitions. They poke fun at the changing trends in architecture, draft room culture, and architects perpetual want to design and plan. A cartoon submission about the future of architecture. 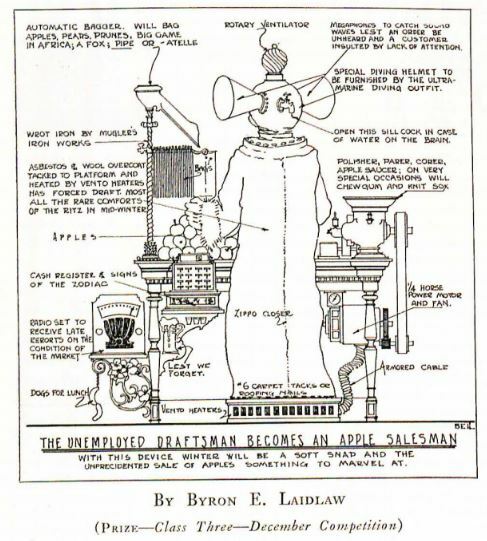 A cartoon to show the detail and effort a draftsman expend on a seemingly simple job. Margaret Gaines is an MA candidate in the History of Design and Curatorial Studies program offered jointly by Parsons School of Design and the Cooper Hewitt, Smithsonian Design Museum. She holds a work-study position at the Cooper Hewitt, Smithsonian Design Museum Library.